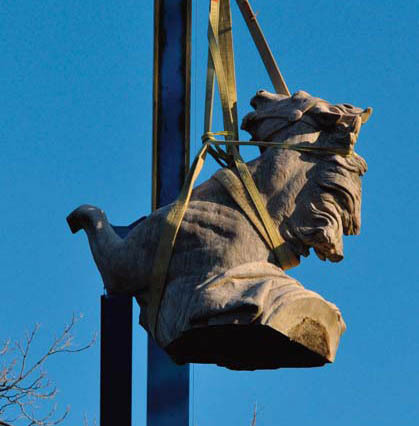 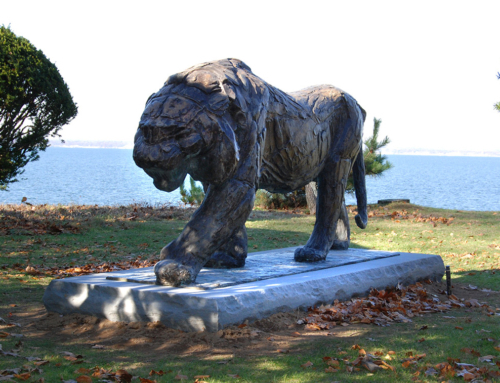 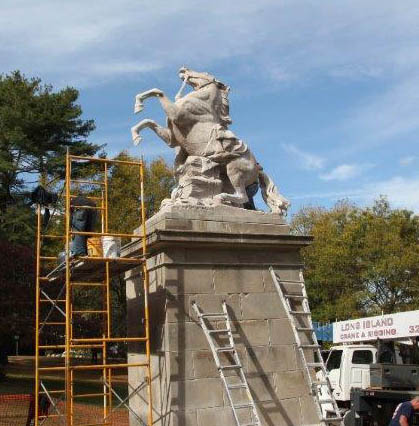 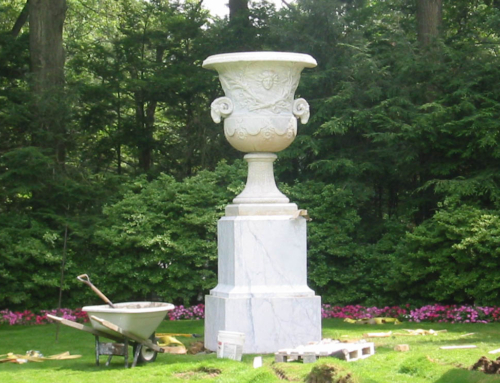 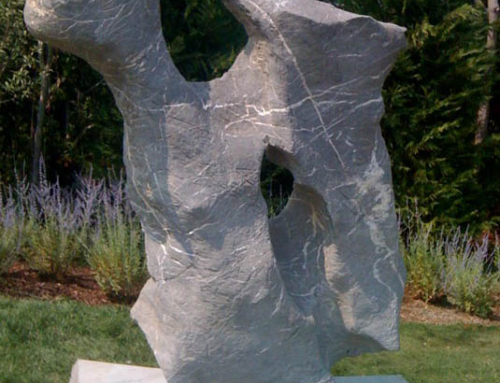 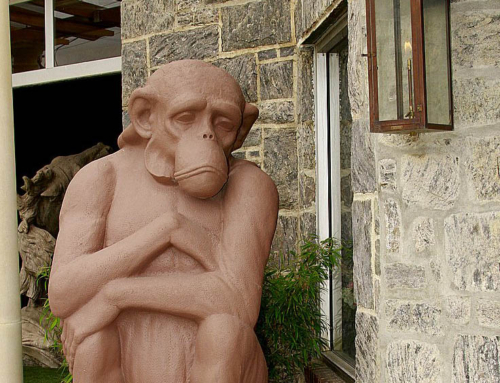 This project started with a simple call to our sister company North Shore Monuments in 2010 with the homeowner asking if we could help him remove a horse statue from his back yard. 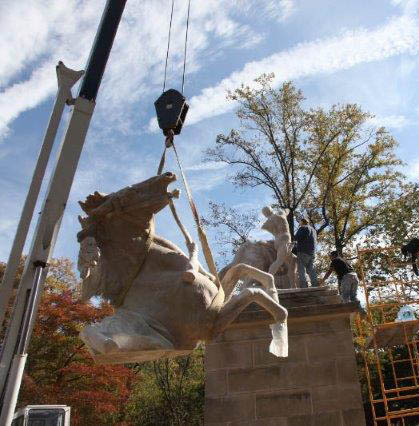 Hugh had no idea that the horse statue was 30’ high. 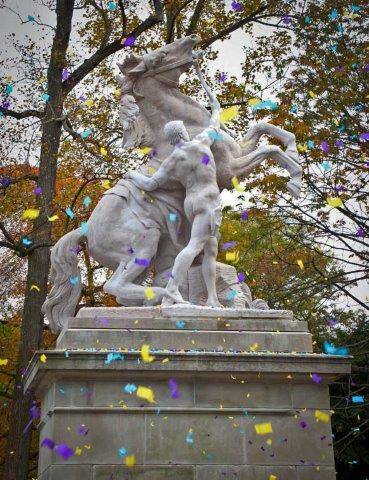 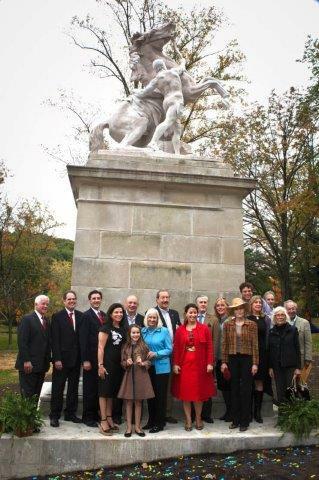 This Tennessee Marble heroic statue modeled after the Horses of Marlee on the Champs des Elysee was designed by Stamford White and is one of two sculptures that resided for 40 years at the front gates of the Mackay estate in East Hills.